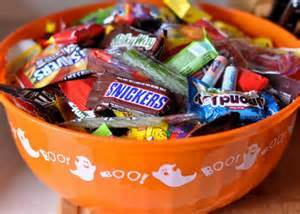 Halloween is coming up, and the main reason you dress up and celebrate the holiday is because you get to trick-or-treating and the thing you get out of trick-or-treating is candy. Knocking on doors is really rewarding considering people give out free candy. This holiday is a fun one, that is because you can eat sweet delicious treats all night long. There are so many different types of candy and they are all really delicious. Today, we figure out what candy junior high students enjoy the most. I interviewed all of the journalism staff, and came to the conclusion that Skittles are the most popular candy, with a whopping 16% of the class voting for skittles. Surprisingly, Reese`s peanut butter cups did not get any votes, neither did M and M`s. Coming in at 2nd place were dots, candy corn, and dum dum lollipops. The least favorite that got the least amount of votes was Mr. Goodbar. My favorite is Kit Kat, but I guess my peers disagree. What is your favorite? Feel free to comment below. Besides student’s favorite candy, I also asked people about their least favorite candy. The end result came to the gummy candies that you receive when you get the kids meal at the Habit. 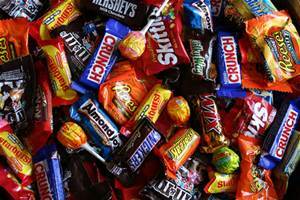 Other candies that were disliked included Snickers, Twizzlers, and Twix. My least favorite candy is definitely almond joy, because coconut is really not friendly to my tastebuds. What is your least favorite? In conclusion, People seem to like skittles the most and small gummy candies are the least. With Halloween coming up in a short two weeks, we can get our taste buds and stomach ready for a lot of sweet and sour goodness. Will you trick or treat for the fun of it, or will you give out candy to costumed children? Either way, it has to do with candy, and that is why halloween is such a fun time of the year.